Reservations are Saturday to Saturday only, in 7 night increments, unless otherwise noted by Owner. A 12% villa accommodation tax is added to the bill for the government. Optional air conditioning is available at extra charge based on metered usage and a predetermined fixed rate. Rates are based on occupancy as noted. There is a $250/extra person/wk plus tax charge for extra people. Couple's Specials apply to two people per suite. USA Check, Master Card and VISA are accepted. Secure online payment. 4:00 pm Check-in; 10:00 am Check-out. We do try to accommodate early check-ins. Please ask the Owners. A reservation is confirmed upon receipt of deposit and completed reservation agreement. We STRONGLY recommend “Cancel for Any Reason” insurance available from large, reputable insurance companies for anyone who has any reason to believe he may cancel at any time. Travelers can obtain such insurance; Owners cannot. We do have a cancellation fee if a reservation is cancelled prior to 90 days before arrival. We offer no refunds within 90 days of arrival unless the villa can be rebooked. Our villa is self-catering. Please leave it as you have found it. 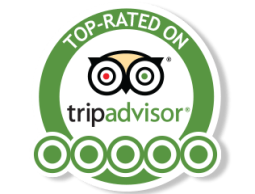 We can continue to offer a great value as long as we have the wonderful, respectful guests that we have had in the past! Please check with us if you have special considerations. Coconut Beach Villas are truly spectacular! Owners, Dana and Scott, have taken great care of the homes and it shows! They are also fun to talk with, friendly and helpful. As are the native islanders and those who come to work on the island. Villas are very clean, well designed and top notch amenities. My family stayed in one of the villas, my brother and his family in the other. Total of 4 adults and 8 kids ages 7-17. Very spacious. The home is in a private residential area. Only 6 homes on our stretch of beach! Easy to get to Grace Bay but so nice to come back to the villas on the quiet and breezy side of the island! The photos are exactly as you will find it-only better because you are standing on the patio soaking in the sun and the azure waters! Breath taking each morning to wake to sailboats and catamarans anchored in the bay. Did not have to run ac in our bedroom until last 2 nights. Beautiful trade winds through out day/night. Sapodilla Bay is quiet, serene and beautiful. Water is clear and very calm. We rented a kayak and paddle board for the week. Perfect! Saw sea turtles right off beach! Stocked up on groceries for the week-very pricy, double what we pay in states. Quickly got over that by day 2! Beer very expensive, wine is comparable to back home. Eating in was easy with grill and outdoor tables. Grilled grouper from Provo Fisheries nearby villas. Sunsets amazing! Places we ate and recommend: Boogaloos, Caicos Cafe, Horse Eyed Jacks, Las Brisas right at end of street, and anocoana. Most meals spent at villas so you can maximize beach time! Or pool for few kids! Activities: scuba with Dive Provo, horseback riding on beach with Provo Ponies, Snorkel and Conch Tour with Caicos Dream Tours. This was an amazing vacation with family and cousins! Coconut Beach Villas are the perfect place to call home for your TCI vacation. We loved it and want to go back! Thank you Dana and Scott and your entire crew! Words cannot describe how amazing our week was !!! What a great place , the Villa is new, clean , quite , very well furnished and mantained , just few steps from one of the best beaches I have ever seen , I can assure the pictures in the web site describes very well the place and it is real ! Can't wait to go back next year , and every year after . Thanks Scott and Dana for the great hosting. Our family of 10 (2 grandparents, 2 daughters and 2 sons-in-law, and 4 grandchildren ages 8, 6, 4, and almost 2) returned to Coconut Beach Villa again this February, after we had such a great time last year. CBV continues to be well-maintained, beautifully landscaped, and right on the best children's beach ever! We snorkeled, bought lobsters from the local fishermen, relaxed at the pool and on the beach, did most of our eating at the villa where it is so easy to prepare great meals. A few little side trips to the conch farm and Coral Gardens kept everyone occupied. The grandchildren are already talking about "next year" (when we will return!) This year we left for the airport 3 hours early (instead of two) and had a much easier time checking in and going through security. What a treasure CBV is! We can't begin to say how much we enjoyed our stay in Coconut Beach Villa; the home was exactly that- our home away from home. The houses were the perfect accommodation for our family group, the beach and sea were safe and our four year olds made themselves instant "water babies". We found area restaurants reasonably priced with a nice selection on local favorites. The homes were immaculate, well appointed and very well maintained. We truly found our ideal paradise in Sapodilla Bay. Great time here...most stunning sunsets ever! Great time here...most stunning sunsets ever! Would love to bring our 4 children next time. A few favorites: "Da Conch Shack", the Infinity Bar at the Grace Bay Club and, believe it or not, Graceway Market for some fried chicken and gourmet cheese for a great beach day lunch. Cheers to the owners, Dana & Scott, for providing such a beautiful backdrop to celebrate life and love. We spent a wonderful week at Dana and Scott's, Coconut Beach Villa on Sapodilla Bay. The villas were beautifully maintained, clean and perfect for our family of eight adults and five children. The clear, calm water and sandy beach just steps from our villa was perfect for adults and children alike. We would highly recommend this villa and look forward to visiting again. I stayed at Coconut Beach Villa because one of my weeks was already taken at the sister villa. Well, I absolutely did not go wrong! This villa is perfect, too! The villa is new and it has all the amenities which one can expect to have a perfect vacation. The best thing is its location on Sapodilla Bay Beach. Have you ever seen such beauty? You won’t know until you come visit, because the photos cannot begin to offer the feeling that comes over you when you walk in the door and when you get to enjoy this paradise on earth. What is missing at Coconut Beach Villa? No strangers on the shore (or only a few!) No footsteps in the sand - every morning it is clear No loud music on the beach - or even next door No hawkers selling trinkets or boat trips No ladies doing hair braiding No speed boat operators inshore No surfing waves - only gentle ripples No large trees or shrubs to obsure the view No noise from the neighbours next door - or upstairs No strong winds off the sea - hardly enough to fly a kite! No parasailing or windsurfing nearby No dolphins or sharks - in fact no apparent fishing No rain to relieve the heat - for 11 out of 12 days WHAT DID WE FIND? A peaceful holiday paradise - perfect for our four grandchildren ages 6-8 and their parents aged 40-45 and ourselves - ageless. Soft clean beach sand and safe warm swimming - with glorious sunsets every evening. Yes, the photos you see are exactly as it is at Coconut Beach Villas, only better when you are standing on the patio looking out at the azure waters! My family had one of the villas, my brother and his family the other. Perfect set up for two families with 4 kids each! Owners were very friendly and helpful in answering questions. They have taken great care from the design to the construction to the daily upkeep of the villas and it shows. Very clean, comfortable and tastefully decorated. The nicest villa we have rented on vacation. The villas sit on a private street and there are only about 6 homes on the beach. We felt like it was our own personal beach. The beach is spectacular! Waking up and seeing the sailboats and catamarans anchored was breathtaking! The sand soft, the water warm and clear. You could walk out 100ft and the water would only come up to your knees. Perfect for kids and parents! We ate in most meals and it was great to have the grill and the dining table on the patio. You cannot beat the view, the sound and the relaxation! Provo Fisheries not far from villas sells fresh fish. Go about 3 when the boats have come in. We lucked out one night and got the last 4lbs of grouper. Sapodilla Bay is the place to be on the island! If you like quiet, quaint, peaceful and serene, then stay here. It is away from the crowds at Grace Bay, but only a 15 minute drive to shop or dine there. We loved knowing that we would head back to our peaceful home on the very picturesque bay. Fun and memorable things we did: Rented kayak and paddle board-great to have at villa whenever you wanted Mass at Divine Providence-choir uplifting! Rode horses on Long Bay with Provo Ponies - top notch group and very genuine Scuba with Dive Provo- excellent outfit and awesome underwater sights Snorkel and Conch Tour with Caicos Dream Tours - highly recommend private charter with 12 people. Lunch and snorkel and personal attention. Great time! Best part-just being at the house and lounging at beach with family! Places we dined: Boogaloos - down by the docks in a neighborhood. Great service and food, amazing view, windy. Very casual. Las Brisas - right at end of street- convenient, great food and drink Caicos Cafe in Grace Bay - outdoor dining and very good fresh cuisine Anocoana at Grace Bay resort - adult dinner last night. Beautiful sunset, wonderful meal This was a vacation of a lifetime! Loved it! Want to return! Simply spectacular island! We spent a wonderful week at Dana and Scott's, Coconut Beach Villa on Sapodilla Bay. The villa was beautifully maintained, clean and perfect as shows on the web site The clear, calm water and sandy beach just steps from our villa was speechless . We would highly recommend this villa and look forward to visiting again. What an awesome week in the Turks! The weather, the beach and Coconut Beach Villa were all fantastic! What really made the week special was spending time with friends! "There is nothing better than a friend, unless it is a friend with chocolate!" If you get to spend time with friends in the Turks at a beautiful villa overlooking the ocean, it is truly very special! Look no further! This villa is on the tranquil Sapodilla Bay only a few minutes from Downtown. Beautiful shallow and warm water is perfect for gently bobbing the day away. The Grace Bay side is much more wavy and busy. Wake to gentle breezes, grab your morning coffee and step out on the beach and enjoy the calming lap of 1" waves on a deserted beach. After having breakfast over looking the bay, grab your mask and snorkel and go for a swim with the sea turtles. I swam with one for 30 minutes one day. If you like to fish, you can catch yourself lunch. I caught several fish during my stay including several bonefish. Get your fishing license at the Turtle Cove Marina first as they do patrol. You can walk to Caicos Oil/Mart which is about a 1/3 mile and they have most of what you'll need. The villa was very nice and well appointed with everything you need. The villa lights up beautiful at night and there is almost always a nice breeze and we never needed the aC to sleep. The villa was very clean when we arrived and we never saw a bug in the villa. Thank you Dana and Scott! We hope to come back with the whole family someday. This was our first time to Provo and we wanted to do it right by renting a private villa. The photos of Coconut Beach Villa were very convincing and believe me, this home and the location is stunning and will not disappoint. We arrived at the airport ,picked up our rental car and we were at the villa in less than 10 minutes using the directions provided by the owners. The house and grounds are immaculate and the beach is soft powder white sand. The water is so clear and warm, there is no rough surf here only small ripples and we stayed in the water for hours at a time. The house is fully equipped with everything you need and more. The free wi-fi was a plus and the cable tv received all the channels from the states. We explored Provo and visited some local restaurants for lunch and dinner and enjoyed them immensely but our favorite place was right back at the villa where we could cook in the spacious kitchen or barbecue on the huge gas grill on the terrace and enjoy the sunsets from our own secluded home. The beds were very comfortable and the linens supplied were more than enough. The villa also has a large capacity washer dryer, dishwasher, etc. Grocery stores were nearby and the big IGA was a 10 minute ride out to the leeward highway and they have everything you could possibly buy. The people of the island are very friendly, polite and helpful to tourists and we ventured to every part of the island away from the tourist areas and ate in local restaurants, always felt welcome. Our hosts Dana and Scott were so very gracious and helpful, we felt like we had been coming to the villa for years. We absolutely will return and bring more family next time. We were so relaxed at the end our stay and sad to leave such a beautiful place. How wonderful this duplex villa in Sapodilla Bay has been for us too. Thank you so much Dana and Scott for carefully creating such an excellent holiday home in this idyllic place and for sharing them with us. Like the families here in February 2012 we are grandparents plus son and family plus daughter and family, who normally live respectively in England UK, San Francisco USa and Ottawa, Canada. This pair of "private" homes each with ther own kitchen and facilities has been superb for our families from different time zones who naturally came with different eating and sleeping habits. The easy-to-share patios, pool and beach have been ideal for shy young cousins who only meet infrequently to get to know each other again. When not enjoying eating together, our favourite eating out was in Tikki Hut in Turtle Cove. It can provide large, family size tables at the edge of the fascinating Marina, with excellent adult and child menus, also enabling children to share an adult portion if desired. We found best service was to go early (arrive before 6pm) for evening dinner and then the service is very prompt so that the table can be re-used for those eating later. Our best family day trip (other than on Sapodilla and adjacent Bays) was a private Catamaran "Maximum Chill" hired with Blue Water "Captain Smooth" from Turtle Cove Marina. We had a great long sea ride, visiting the Iguana Island (Salt Cay), snorkelling by a reef just beyond the Conch Farm - plus lots of fun entering the water down the slide that this boat has at the back. Fionally ending on a small but incredible Shell Island. We watched another amazing sundown and sunset before we sailed back to Turtle Cove, entering the Marina with some difficulty in darkness! We had already collected many beautiful conch shells on Pelican Beach, at the north end of Grace Bay, and Scott very kindly agreed that the children could create shell gardens in parts of his garden to house their treasures, as we had to persuade them that we were unable to take them all home! Food in plenty came from the IGa on Leeward Highway - good choice and quality but expensive. We topped up from the local Quality Supermarket which had a limited range but cheaper. Wow! We absolutely have loved every minute! We had our dream vacation at Coconut Beach Villa! We had our dream vacation staying at Coconut Beach Villa. Everyday, we marveled at how calm the water is. Our two boys, 4 1/2 years and 23 months), loved everything about being here. They loved both the pool and the beach/ocean equally and we never had to worry about large waves. The ocean was just as calm as being in a pool. This was a fantastic place to stay! I wish we could stay longer! Well, we are leaving today after being here a week and I wish we could stay longer. Loved the villa. It was exactly what we wanted. A few helpful tips: 1. The reef/shore to the right looking out of the villa has great little fish to see. Go snorkel there. 2. Diving #1 Flamingo Divers. My husband loved them. 3. Island Vibes half day snorkel trip was great. JJ and Captain Spike were wonderful! 4. Bay Bistro great food, as well as Las Brisas for lunch and view of Chalk Sound. 5. Goldsmith Duty Free Shops at Grace Bay in the Regent Village - good prices and lots of selection. We hope to be back soon!! A lovely spot. You will not be disappointed as the reality is as scenic as the pictures. Went with teenage children, their friends and other family and it was perfect. Pure relaxation. Villas were lovely and Dana made us feel very welcomed without being intrusive. When we tired of the pool, we walked down to the beach. Mostly ate in because we really didn't like leaving the villa or pool. Brought 2 suitcases full of dried food and then shopped at local grocery store, where prices were steep. For first time snorkelers go over to grace bay..near coral gardens. La brisas is only restaurant within walking distance..bout one eight mile. Very nice and scenic. Went to local hang out, Paradise sail in blue hills for dinner. Very charming and tasty. My daughter wanted braids and rather than doing them at a resort we went to a very local establishment in blue hills..the ocean view beauty salon and they did a great job for fraction of cost. We were all so sad to leave at weeks end. The Beach is Just Perfect for a Family! Our family vacation started on June 12th. We are from North Carolina. We rented the North Suite for a week and enjoyed a beautiful and relaxing family vacation. The beach is just perfect for a family with young children! In week two, we rented the entire villa and enjoyed the company of my business partner. We enjoyed our time in Turks very much and wish we were staying another 2 weeks. Contact us today to make your reservation!Relax@coconutbeachvilla.com Inquire Now! Copyright © Coconut Beach Villa, Designed for Vacation Luxury!